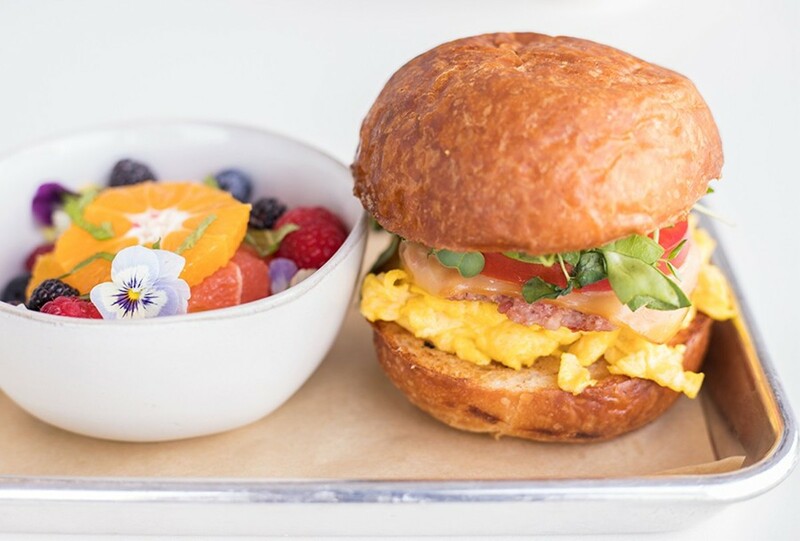 Knead's many highlights include a terrific sausage, egg, and cheese sandwich on brioche. For five years, AJ Brown has been nursing his sourdough starter. It's the foundation for everything he does, and he knows not to take it lightly. Using a blend of Missouri and Illinois wheat, Brown's dough is fermented with wild yeast, then fed a roux to keep it going. He's so obsessive about creating the perfect conditions that he ferments the dough in a cold space that mimics the temperature and humidity conditions of a Missouri cave, a factor that increases the production time but provides the benefits of aging, like a good wine or cheese. Commercial bread can be made and shipped, start to finish, in about eight hours. Brown's dough takes three days before it's even ready for the oven. 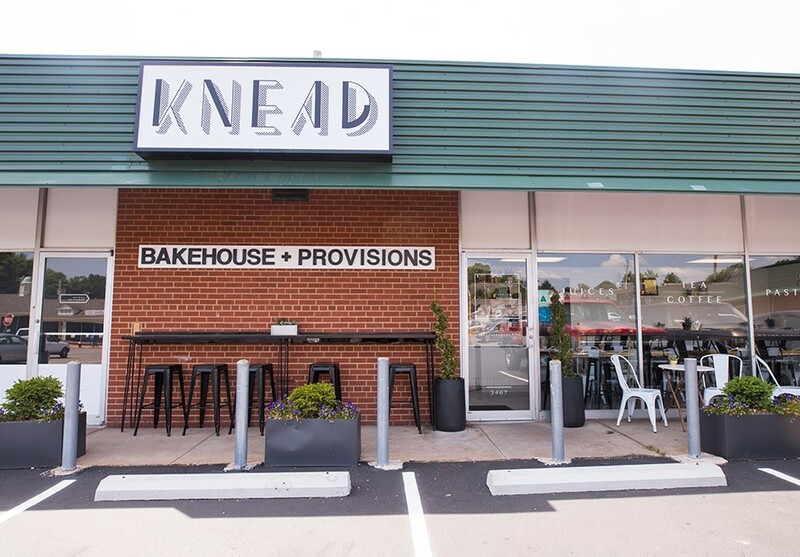 All you need to know about Knead Bakehouse & Provisions, the delightful bakery and café Brown opened last November with his wife, Kirsten, can be gleaned by just how seriously Brown takes his bread. In the five years that he has been tending to his starter, Brown has gone from baking bread out of a retirement center to sell at St. Charles County farmers markets to a successful Kickstarter campaign funded by his legions of loyal market patrons, and now to the Southampton storefront that used to house Salume Beddu. He's done everything with an unwavering commitment to producing the best possible product. Knead may have started with mere sourdough, but it's evolved into what is on pace to become one of the city's top daytime spots. Brown looks at his business' evolution in terms of his starter — it begins one way but grows, evolves and expands into something that is both the same and different than the original. It's also a good way to think of his journey into the art of bread-making, which may not have happened if he'd stuck to his original plan. After studying nutrition and food science in college, Brown went into the beverage industry, where he took a deep-dive into fermentation. He realized that he felt happiest when he was using it to make bread, not beer, because of the immediacy of the process: In making beer, you use large fermentation tanks and industrial equipment; in making bread, it's just your hands and the dough. It appealed to his sensory-oriented disposition. Brown decided to forego the beverage industry for cooking and enrolled in an accelerated culinary program at the prestigious Institute Paul Bocuse in Lyon, France. The return stamp on his passport was barely dry before he made his starter and began baking bread to sell at the Lake St. Louis farmers market. He expanded the business to other area farmers markets with a dream to open a bakery and café of his own, working part-time in local kitchens and as a private chef to save money and provide for himself during the markets' off-season. 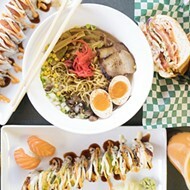 The space is small, but Knead's owners use every inch. Brown hoped to open his bakery and cafe in his native St. Charles County, and was especially interested in the Main Street district. However, nothing seemed right. He looked all throughout the area for three years before expanding his search to across the river and homing in on the old Salume Beddu spot. 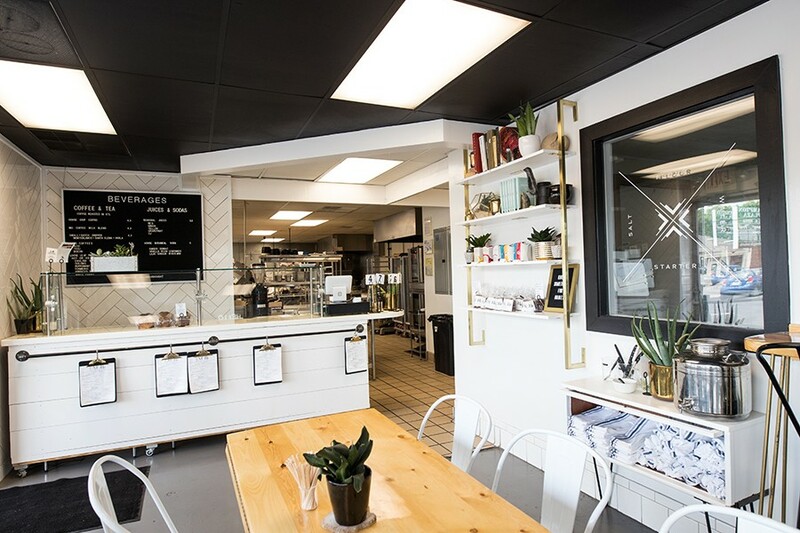 Having served as a combination production facility and café for its prior tenant, the storefront was the right fit for his operation. 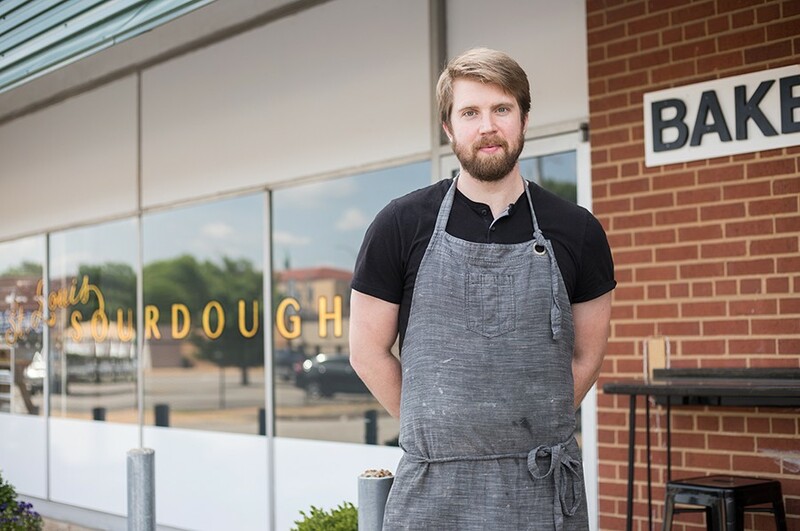 He and Kirsten signed the lease and opened the doors to Knead Bakehouse & Provisions last November. Fans of the old Salume Beddu will recall the storefront's small space and limited seating. That has not changed, though Knead (like the previous tenant) maximizes its real estate. 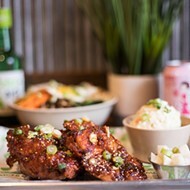 The counter-service restaurant is outfitted in white tiles, succulents and brass shelving that give it a warm but modern feel. 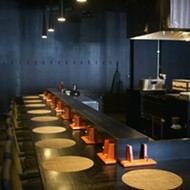 A single communal table takes up the majority of the dining room; seats also line ledges around the windows and one of the walls, which are wide enough to hold a plate but not a centimeter more. Outside, a handful of white metal tables and another ledge with barstools provide seating when the weather is not insufferable. Though he made his name baking bread, Brown's culinary prowess goes far beyond that skill. Breakfast pastries excel, such as a homemade pop-tart filled with mulberry jam that is so flaky you might think its delicate exterior will break apart in your hands. It holds up to the filling, seemingly defying physics. 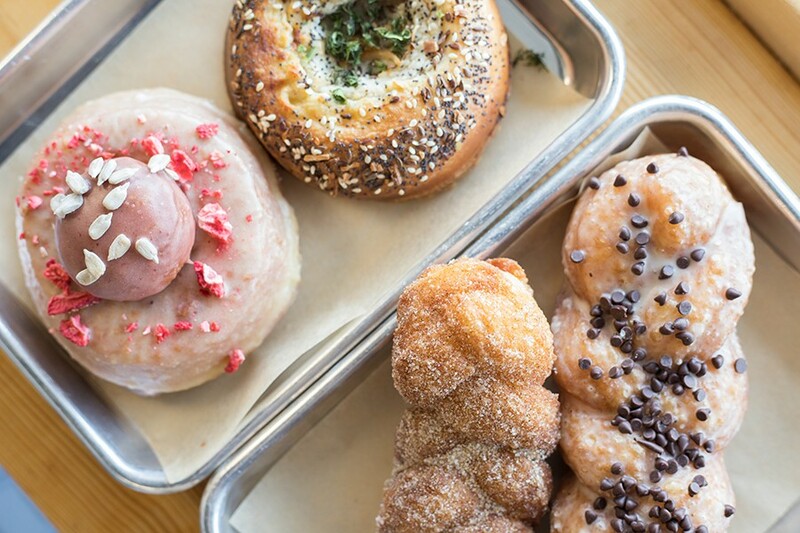 Baked goods include a few creative doughnuts. Doughnuts are creative but not gimmicky: Both matcha and the traditional Chinese tea oolong infuse one version, which is topped with edible flowers. Another option is coated in a glaze spiked with strawberries and basil. Both are subtle enough to let the dough's yeasty flavor to shine through. However, Brown goes far beyond pastries in his food offerings. 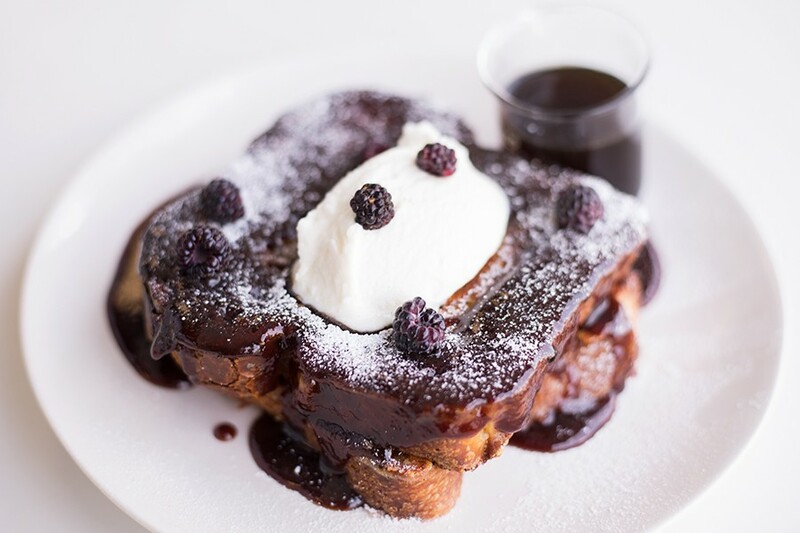 Brioche French toast is so pillow-like you'd be forgiven for trying to nestle your face into it. It walks up to the edge of being over-griddled but does not cross it; the result is a caramelized bitterness that cuts through the sweet strawberry preserves. And those preserves — deep, rich, sultry ... as if strawberry shortcake were dressed up as Bettie Page. They gild the toast without soaking in and making it soggy. It's a masterpiece. Brioche French toast is topped with custard batter, warm jam and creme fraiche. Brown can do savory breakfast fare just as expertly. 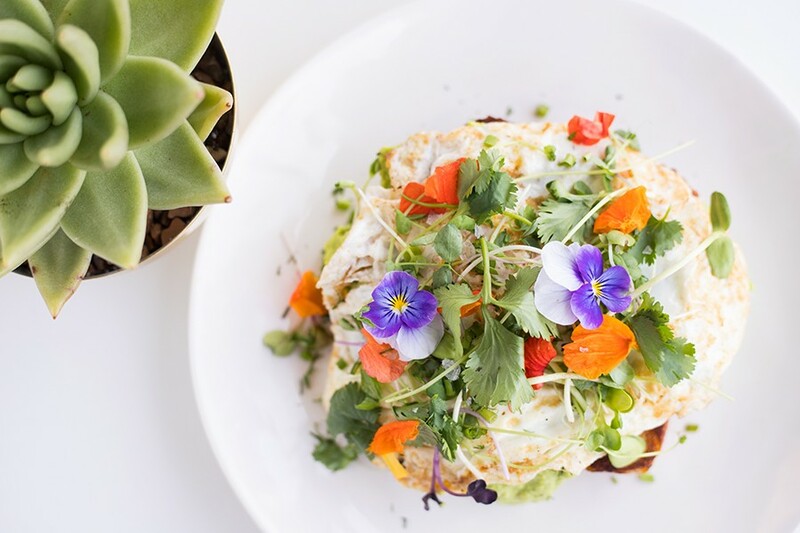 "Legumeamole" is a play on avocado toast made from sweet peas and fresh herbs. The texture is surprisingly fluffy, somewhere between hummus and guacamole; when the accompanying over-easy egg cracks, its yolk mixes into the mash and makes a decadent concoction. 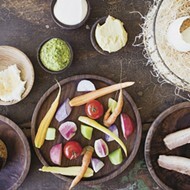 Fresh herbs and edible flowers make this a feast for the eyes as well as the palate. Ordering anything but the egg, sausage and cheese sandwich, however, is impossible to imagine once you taste this most perfect of breakfast sandwiches. Served on a butter-brioche bun, it presents like a breakfast burger, stuffed with soft-scrambled eggs, smoked cheddar cheese, aioli, sliced tomatoes and greens. Alone, this would be a wonderful breakfast offering, but Brown offers as an accompaniment what could possibly be the best breakfast sausage known to man. Made in-house from pork belly and shoulder, the patty is coarsely ground and filled with a whole hog's worth of porky flavor, its texture and flavor reminiscent of Gioia's hot salami. Perhaps Brown's next business can be a sausage shop. "Legumeamole" is served open-faced with an over-easy egg. Lunch is equally successful. The ubiquitous kale salad seems anything but tired when dressed with zesty kefir dressing that mimics the tang and creaminess of tzatiki. Carrots, pecans and wheat berries add layers of texture. It's a lovely accompaniment to a cup of hearty lentil and white bean chili that is perfumed with cilantro, lime-pickled tomatoes and a whisper of bergamot. Though the soup is thick and served hot, its bright flavors make it seem surprisingly appropriate for the time of year. 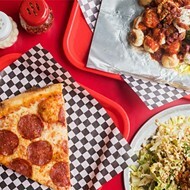 Brown describes his style of cooking as "food on top of bread," and he has a selection of sandwiches that show off his skill with just that. Brisket is good — not Aaron Franklin good, but deeply smoky with a slightly crusty exterior. A turkey bacon club pairs smoked turkey with large domino-sized cubes of bacon, an accompaniment that would have been better served warm. Because it was served cold, the pork belly lacked the crisp exterior and buttery mouthfeel you get from having it fresh from the oven or griddle. 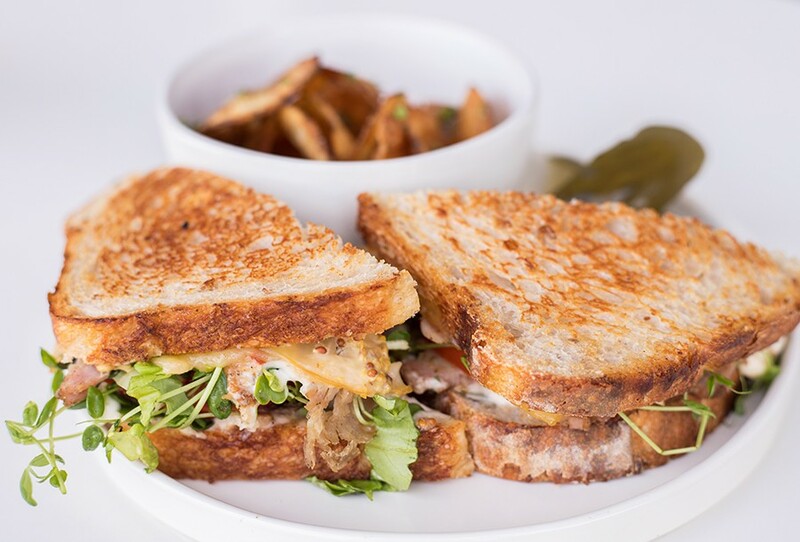 A porchetta sandwich is served on rustic bread with garlic-herb aioli-mustard and smoked cheese. Both are solid options, but they do not compare to the porchetta. Brown describes the concoction as a pork burrito: Slices of belly are wrapped around a loin, coated in rosemary, sage and red pepper and then roasted. He slices the meat thinly, then stacks it atop his rustic loaf with molten cheese and aioli. The meat is salty and fatty, its drippings infusing the bread, sauce and cheese with sublime roasted pork flavor. Even a simple grilled cheese is transcendent at Knead. Brown admits his inspiration for the sandwich is Velveeta, a cheese that, though processed, melts so well that it's hard to dismiss its place in certain applications. Brown mimics that texture by melting smoked cheddar and gouda, then folding them into a roux that turns the mixture into a molten spread teetering on the line between solid and liquid. Served on Parmesan-crusted bread with tomato and aioli, it's so deliriously enjoyable, you almost feel drunk after eating it. The cafe is in the former home of Salume Beddu. Which, in the end, seems fitting. After all, had Brown gone down his intended path, we would likely be talking about his new craft brewery, not his bakery and café. Surely those libations would have been capable of intoxicating his patrons, but there's no way they could have moved us as deeply as Knead. With bread this delicious, as well as the amazing food on top of it, we're utterly under his influence.